Little Life of L: What we ate last week: Beach days, pasta dishes and all things Jerk. 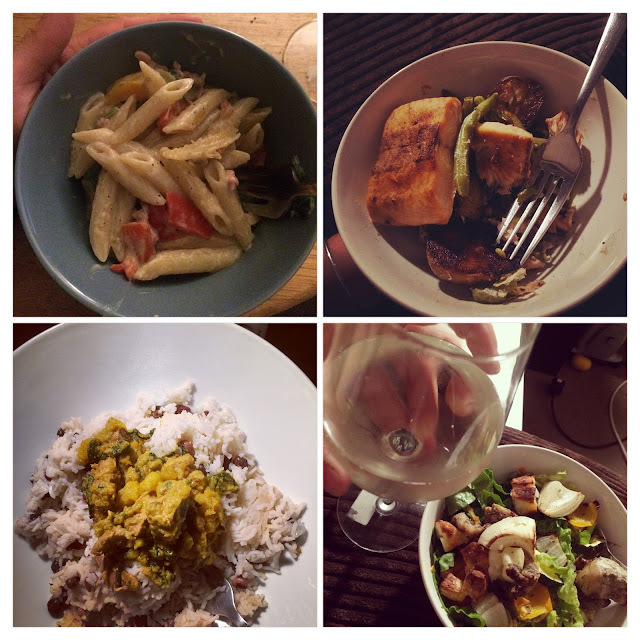 What we ate last week: Beach days, pasta dishes and all things Jerk. From beach trips, to buys days out with grandparents this week has been full of kids here there and everywhere (not that we are complaining) I have been embracing and experimenting with the items in my Grace foods hamper this week – and thinking up how many things can I jerk?? Today we packed up the kids into a car, grabbed a picnic and headed to the beach. Camber Sands is about 1.5 hours away from us – and is beautiful. Not full of seaside games, or arcade machines. It keeps it simple – it is a beach. Pure and simple. The kids roamed free with sandy toes and sticky with sun cream. The splashed in water and ate chips coated in sands. This meant we got home late in the day and after rinsing the majority of a beach of the kids we needed something quick and filling for dinner. My go to quick dinners are usually pasta and a various collections of stuff from the fridge. Our combination for tonight’s dish was penne pasta, ricotta cheese, bacon and some peppers and onions. A simple combination to make a filling dish. Biggest boy has been attended Kung Fu since he was 4.5 – its been great for him and earlier this year he reached the black belt in the Little Dragons class. Since then he has been working hard and been earning his extra stripes on his belt. Today he got his second stripe onto his belt and he all attended to watch his achievement. We took a wander through the local park before heading home. We had to hungry boys who needed feeding asap. Does anyone else have that with the kids – where they go tom not needing anything to be HUNGRY at the blink of an eye. We threw on a quick dinner for them – of minted lamb kebabs with some microwavable frozen rice. Finding these packs has been a game changer for the boys dinner. 7 minutes in the microwave, and full of sweetcorn, peas and broccoli. That is some serious birds and stones on going on. We grown ups however were able to wait for dinner and had some slow pan fried thin cut beef steaks, with peppers and onions (and a good helping of black pepper) which the husband whipped up with a bowl of steamed basmati rice. Monday: From the freezer – Salmon, green beans and sautéed potatoes. I am not great at using my freezer but I have been trying hard to use it a bit better, and making sensible shopping choices when it comes to freezer food. I used a pack of frozen salmon fillets, which I added to a cooking dish with some frozen green beans, a little butter and pepper. Cover that in foil and bake in the oven. While that is happening – sautéed some new potatoes in a little coconut oil until crispy. A “freezer food” meal which was quick to assemble. Tuesday: Leftover pasta – with pancetta, spinach and ricotta and cheese sauce. Another cheat dinner and an almost replica of dinner we had on Saturday. Not eating tomatoes does usually mean that our pasta dishes are cheese sauce based, this I am completely happy with and find them some quick to assemble. Keeping a pack of bacon in the fridge at all time means I always have a “bacon and pasta” dish in my arsenal for these kind of quick need of cooking days. I have been working with Grace Foods this week to help celebrate Caribbean Food Week – and if you are about in and around Brixton this weekend go check out the festival. My pork curry is a firm favourite and I made some tweaks to today’s version. I was not forward planning enough and did not manage to slow cook the squash during the day. Instead I peeled and chopped a squash into bits. Added about a couple of inches of water to pot and bring to boil before plunging the squash in. Leaving the water to bubble and evaporate – which means while steaming the vegetables I could add salt and pepper. Once these were soft and liquid mostly gone – I added the rest of the ingredients (omitting for this time around at least the lentils) I made the rice and peas just by following the guidance on the tin. I am not usually great at cooking rice on the stove (I have a microwavable pampered chef rice cooker which I love so much!!) but this turned out lovely. Cooking the rice in the coconut milk created a lovely creamy rice to sit against the warm spicy curry. 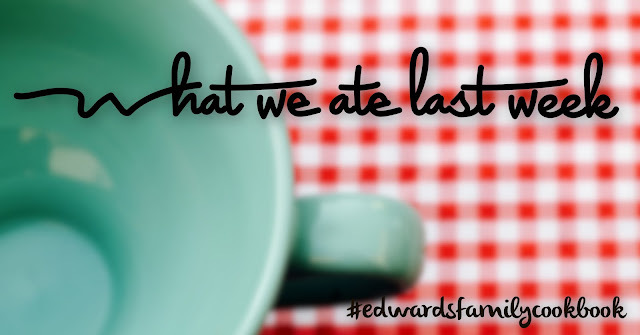 My husband LOVES Jamaican patties – all the various flavours. For another part of my grace foods cooking I decide to give these a go. Making the pastry earlier in the week (with the added Turmeric to give the dough its distinctive yellow colour) the filling made with beef mince and onions. This take on the patty produced a patty very different to the ones ou can buy in the shops – but it did create something very filling and crunchy in terms of a meal. We added leftovers from Wednesday to create a really feast. Final dinner of the week. Some mini skewer placed under the grill. I used chicken breast marinated in the Jerk seasoning. Halloumi squares, peppers, courgettes and onions. The jerk seasoning you can get it great – we have the wet style one is the best for giving a great depth of flavour. I had my skewers with just a green salad with mini cucumbers. In an attempt to eat better during the week I have been ready more about different clean eating styles. It always a good week if I manage a bake – and even better is this bake was using up some leftover squishy fruit which was headed to the bin. 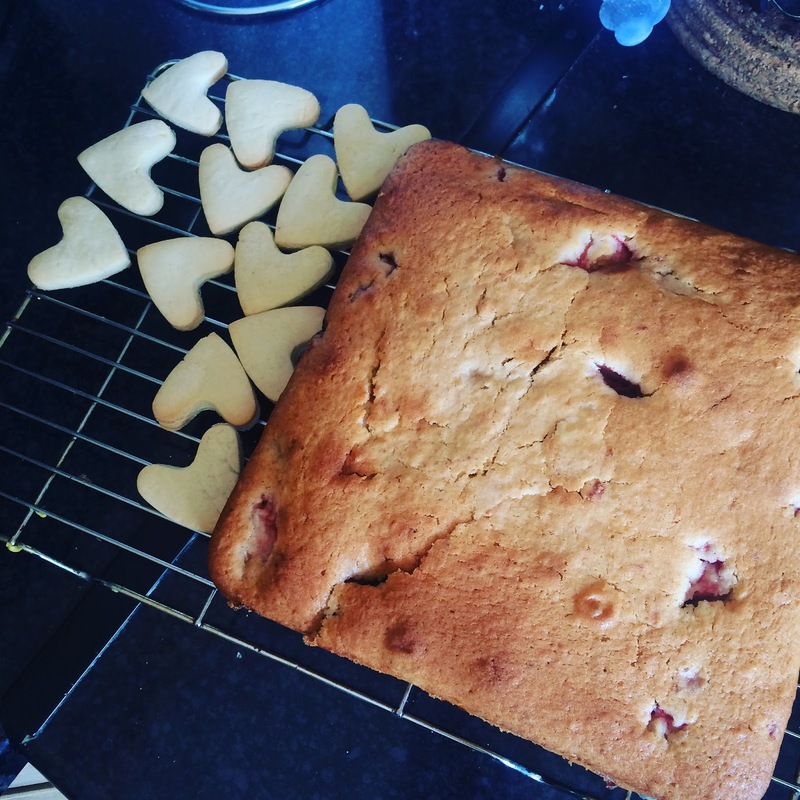 Turning mushed strawberries into a cake was good fun. It got taken into work and every last past piece was enjoyed, I mean what’s the point in baking unless you can share? Basic cake method, mix butter and sugar until soft. Add egg and fold in dry ingredients. Add milk and vanilla extract before stirring in the strawberries. Bake for around 20 minutes on 180C - cake done!